One of the first watches released by Patek Philippe at the show this year is the new white-gold-cased version of the Chronograph Ref. 5172G. This new version features a striking blue dial. 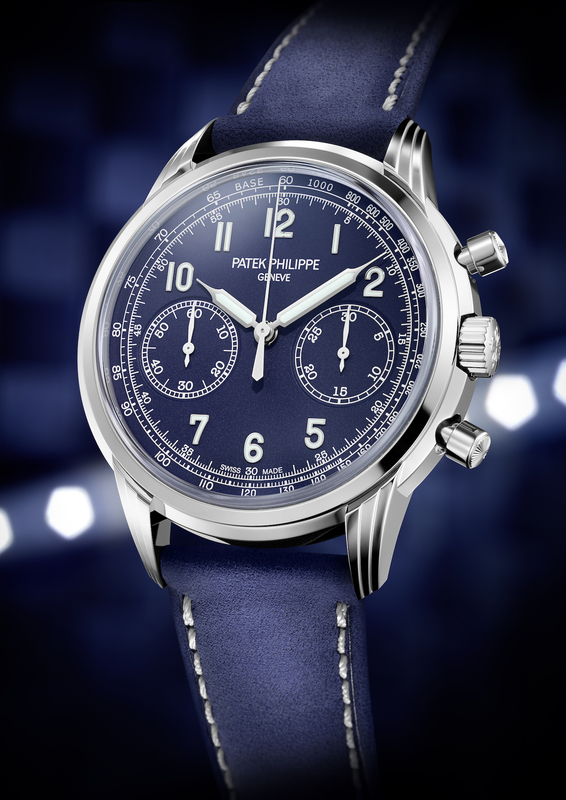 It is an evolution of the first chronograph with a movement entirely developed and manufactured by Patek Philippe, Ref. 5170, that appeared in 2010. Now, Patek Philippe has redesigned this beloved model — offering up a fully polished white-gold case with round guilloche’ pushers. The watch dial is created in rich blue with white gold applied Arabic numerals highlighted with a luminescent coating, white-gold baton-style hour and minute hands. Additionally there is a transfer-printed minute counter with tachymeter scale. 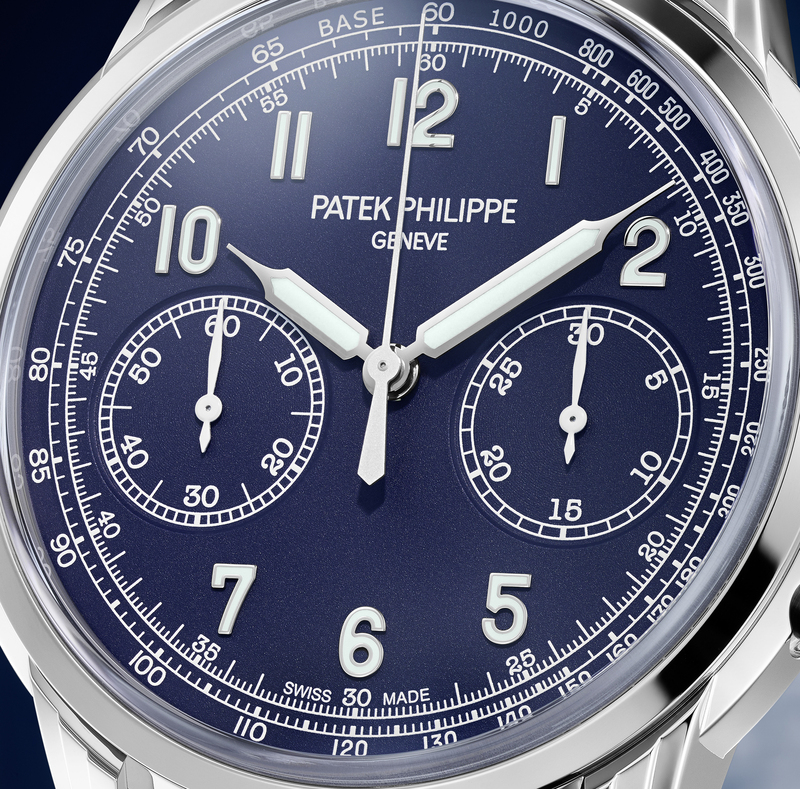 The Patek Philippe Chronograph Ref. 5172G is powered by the brand’s caliber CH 29-535 PS chronograph movement with column wheel, horizontal clutch and manual winding. The movement has six patented innovations that include optimized tooth profiles, improved adjustment of gear penetration, and self-adjusting reset hammers. It also boasts an instantaneous 30-minute counter. The transparent sapphire casebook allows for viewing of the incredible finishing of the components, especially the bridges with chamfered and polished edges and Geneva stripe decoration. The new Ref. 5172G-001 in white gold is finished with a hand-stitched calfskin strap in a shade of navy blue to match the dial. It replaces the previous Ref. 5170P-001 in platinum. The new watch retails for $73,712.